What happens if a festival falls on a busy working day and you do not want to skip some good food? Try this easier and healthier version of sweet Pongal. Cook Thai brown jasmine rice along with yellow moong dhal, cardamom, powdered palm sugar, saffron and mash it with milk. Later, temper the dish with ghee, cashews & raisins. 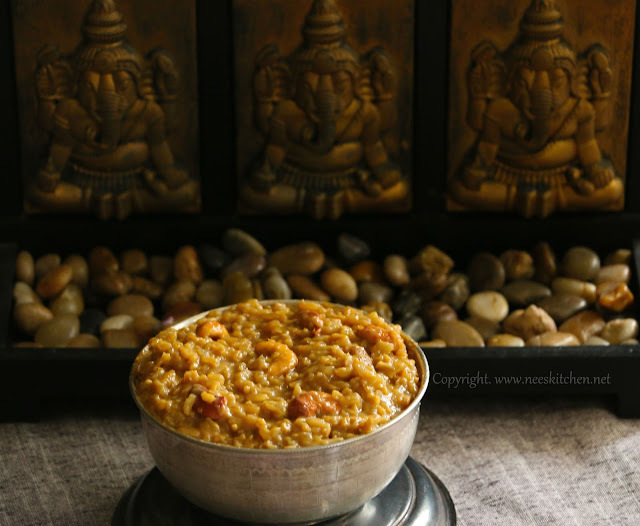 A quick and healthy sweet pongal is ready for any occasion. I used to do it when any festival happens to be on a working day. The cooking time is around 1 hour however you just need to spend few minutes in the kitchen for this dish. 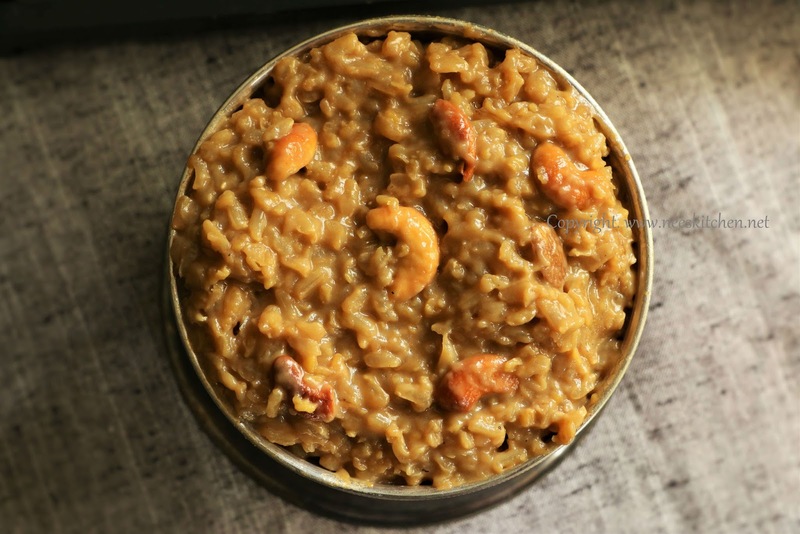 The main places where is save time is I use electric cooker which would automatically switch off once the rice is cooked, readymade powdered palm sugar where I no need to cook in water to strain impurities. Above all I mix all of them and put in the rice cooker so that I no need to clean multiple vessels for one dish. On the healthier version, I use brown rice & palm sugar. The fragrance of jasmine, cardamom is equally balanced and gives a good flavor to this dish. 1. Wash the brown rice and add water. 2. Crush the cardamom and add it to the rice mix. 3. Wash yellow dhal and add it to the rice. 4. Add powdered palm sugar, kesar milk masala and saffron. Mix them well. 5. Let it cook in the electric cooker. 6. Once cooked take out and mash it with milk. 7. Take a small pan and add ghee. 8. Temper with cashews and raisins. 9. Add them to the rice and mix well. 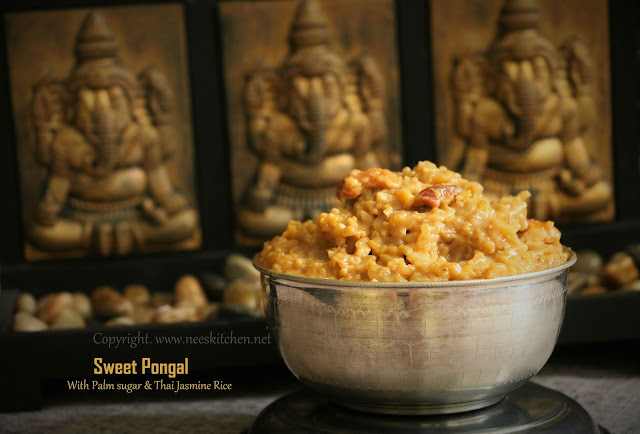 Brown rice sweet Pongal is ready. I have not tried in pressure cooked. If you are using pressure cooker soak the rice for atleast 2 hours and follow the same instructions. Generally it consumes double the time of regular rice cooking. Kesar milk masala is optional it gives a good flavor. If you don’t get powdered palm sugar you may buy the block and grate it. However if there are impurities this quick method will not work.